juli 2009 | 310 blz. This book looks at child poverty and policy experience not only in Africa but also in Asia and industrialised and transition economies. 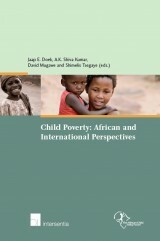 It contains a wealth of information and analysis on the linkages between child rights, child wellbeing and child poverty, the dimensions and state of child poverty and the policy options for tackling it.